Commonly, these days up to mid-range Android phones, for better music we commonly see use of software amplication and various Music Player applications. Nokia Once Had Famous N Series and Some Officially Marked Music Edition Models. Here is Information Around the Android Phones For The Music Lovers. Exactly like for a defined hardware for Android phones for playing games of high end graphics, special chipset for audio exists. Without good hardware, our discussed headphones and earphones will not deliver the optimum result. Lower the noise floor, more the detail the hardware will pick up from higher resolution files. That simply means, higher resolution is of limited value for low end phones. In case of old Nokia N-Series, Nokia used to provide a cable to attach with their proprietary port so that the users can connect standard 3.5mm earphone or headphone connector. Low end phones had no such options, they had to plug only proprietary earphones or their “clones”. These days, 3.5mm port is usually on the body. From outside, it is not exactly easy to understand which device has actual suitable hardware for high quality music. Also, Nokia used to mark the music editions on their advertisements and packaging. Exactly like Nokia had ports, some Android phones do support audio over USB-C port. Sadly the number of manufacturers are limited in number and often the cost of the devices is towards the top end. That simply means, the audio hardware is of better quality as a part of better quality SoC. DAC converts digital signal from input to analog signal on its output. An amplifier drives an analog signal to make more intense and louder. But DAC and amp are no way the complicated part of the sound processing. Most of the data in a 32-bit encoding is not used for listening purpose and they can make the sound worse by introducing electrical noise. Knowing what you need a thing is more important to know. A DAC can convert digital audio file encoded at 24-bits and 48kHz at best quality we can understand. LG V30 has 32 bit DAC, which is actually meaningless for current technologies. DAC and amp can be inside the headphones or even in the cable that connects headphones to USB port. When we are using Bluetooth to listen to music then we are sending a digital signal out from our phone and into our Bluetooth headphones. It is a complicated matter. 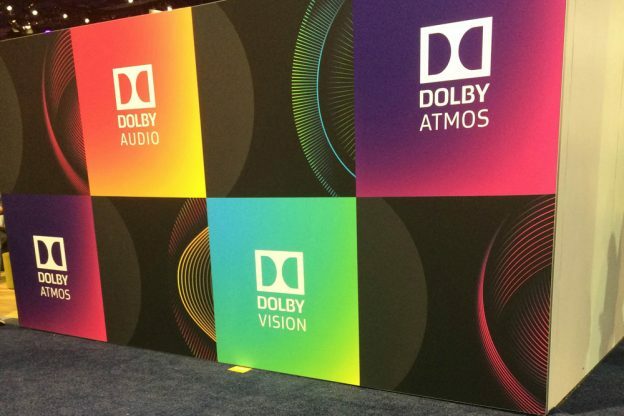 Definitely, all are aware of Dolby Digital sound and presence of Sony in sound industry. Sony has Walkman App for their phones. Sony Xperia XZ1 can be described as Music Edition phone. Among the others, there is Google Pixel 2 XL, Huawei Mate 10 Pro, LG V30, Lenovo Moto Z2 Force, Lenovo Vibe K5, Nokia 8, OnePlus 5T, ZTE Axon, Razer Phone and Samsung Galaxy Note 8. Most possibly favour towards LG V30, Sony and Huawei. You’ll get analysis of music performance of the above models in some other websites. Actually ZTE, Lenovo has very good quality audio at lower price than can be expected. That is true for Reliance 3G Tab, which we reviewed long back. This Article Has Been Shared 8566 Times! Connecting Two Computers With USB Port over Ethernet has the advantage that you can share files, Internet Connection but will not need to carry a router. Android Device or iPhone as Modem Over WiFi, Bluetooth and USB can be setup to use the Internet connection of these devices on your Computer. Here is how. Cite this article as: Abhishek Ghosh, "Android Phones For The Music Lovers : Music Edition," in The Customize Windows, February 19, 2018, April 23, 2019, https://thecustomizewindows.com/2018/02/android-phones-music-lovers-music-edition/.